" exactly what I was looking for, arrived quickly and in good shape. Thanks! " Locate the thin tab on the top of the humidifier. Gently push the tab forward to release the humidifier wall. 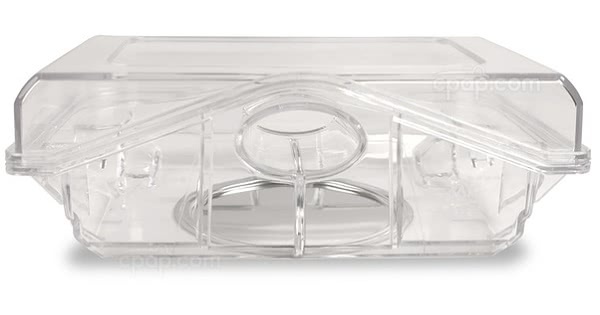 As the panel opens, the clear chamber will be found in the center of the unit. If the water chamber has been filled with water, cautiously remove the chamber with both hands to help prevent water from spilling into the device. Please Note: The humidifier may be damaged if the chamber is filled past the maximum fill line. Do not fill the water chamber past the maximum fill line. Remove the water chamber from the humidifier before filling it with water. Fill the water chamber with room temperature, distilled water only. 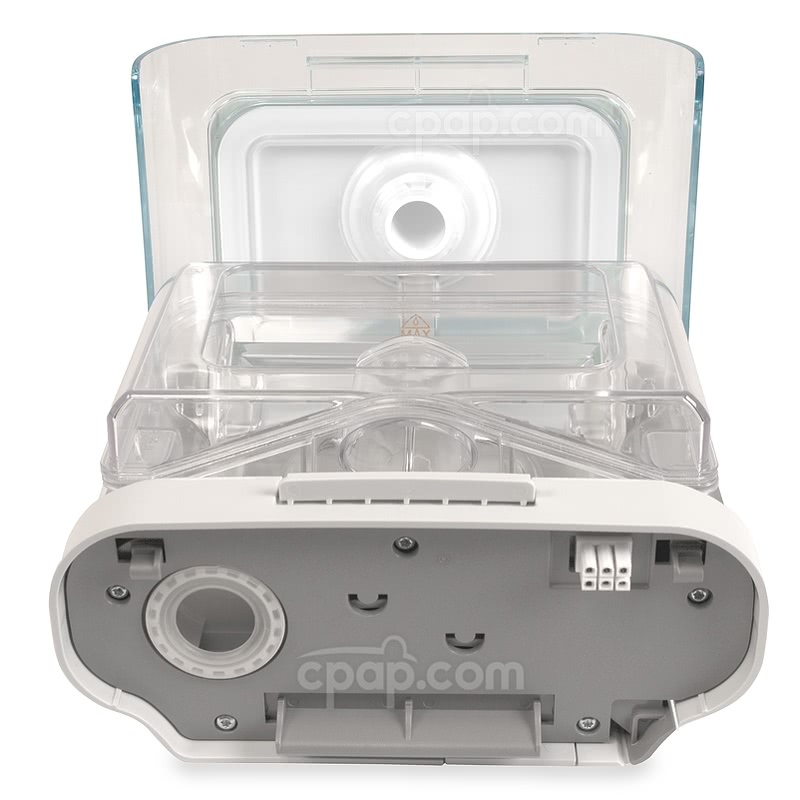 The water chamber is designed to be hand washed daily with mild soap and warm water. The chamber may be washed in a dishwasher once per week on the top shelf only. Disassemble the water chamber from the humidifier before traveling. Do not use the humidifier without the water chamber. If the tank is not being used, the humidifier must be set to 'OFF'. Please Note: If the humidifier was recently used, the heater plate below the water chamber will remain warm for 15 minutes. Wait for the heater plate to cool before removing the water chamber. Where Is the Fill Line? The chamber included with the purchase of the DreamStation humidifier has an orange fill line printed below the rim on either side of the chamber. The fill line on the replacement water chamber is in the same location, however; the line is printed in clear letters instead of orange letters. Do not move the humidifier when the chamber is filled with water. Always remove the tank from the humidifier and extract all of the water when preparing to travel. After the tank has been emptied, let the chamber air dry completely away from direct sunlight. When all the equipment is dry, place the device in a carry-on bag to help protect the unit. Per the manufacturer, the carrying bag cannot guarantee the safety of the equipment when checked as luggage, so use the bag as a carry-on only. How to Access the Water Chamber? The water chamber is enclosed inside the humidifier. To access the water chamber, find the tab located on the top of the humidifier. Gently push the tab forward to release the wall of the humidifier. The panel will open completely, exposing the water chamber. 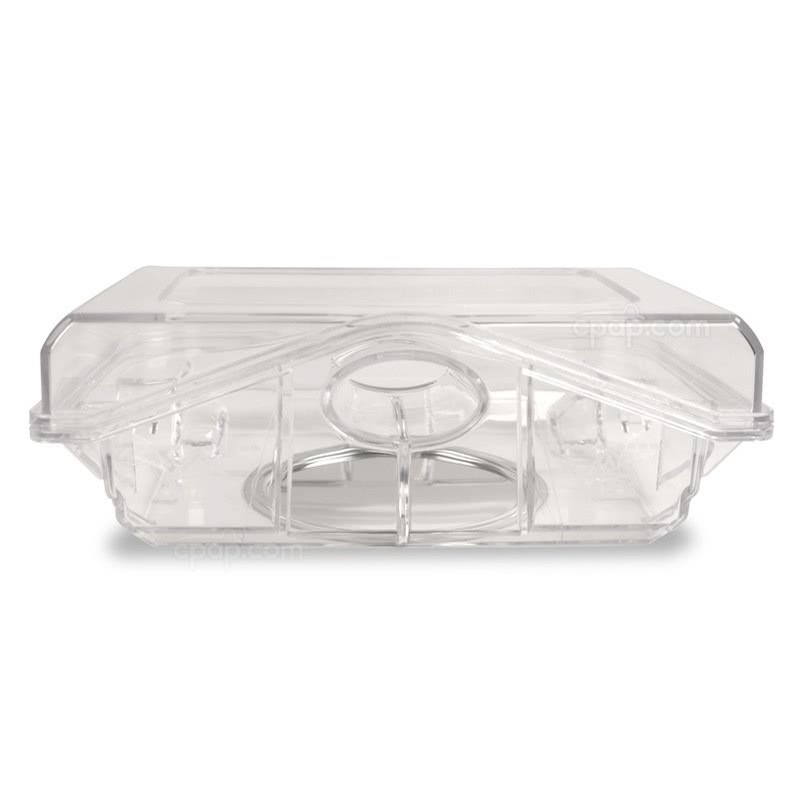 Cautiously remove the water chamber with both hands, place it on a flat surface to fill with water, and return the chamber to the humidifier. Do not fill the water past the maximum fill line.